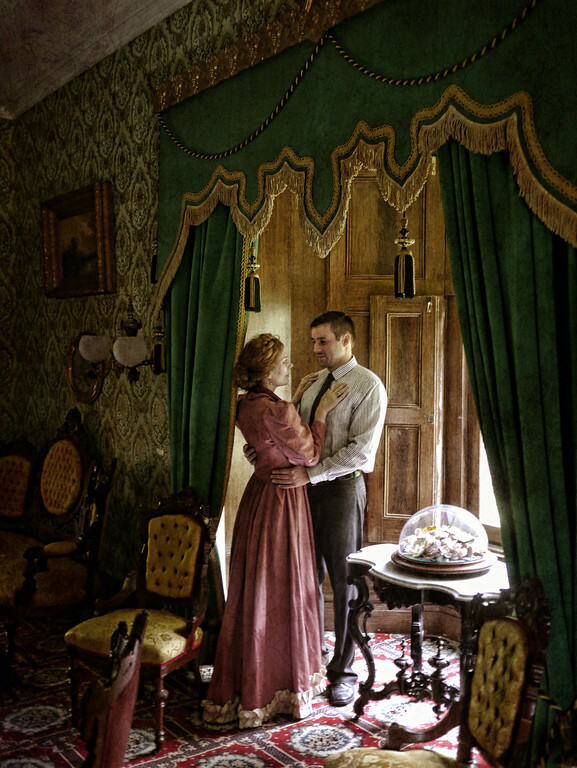 Jennifer Summerfield and Peter Zielinski as Nora and Torvald in the site-specific Victorian setting of Ebenezer Maxwell Mansion’s A DOLL’S HOUSE. Photo by Kyle Cassidy. It’s hard to imagine a better set design for Henrik Ibsen’s devastating feminist classic than the living room of the Ebenezer Maxwell Mansion Victorian House Museum. Period furniture and details perfectly conjure the 19th-century home of Torvald Helmer (Peter Zielinski) and his long-suffering wife Nora (Jennifer Summerfield). The audience gets an up close view as their marriage melts down in a production of unrivaled intimacy. Playing off Zielinski’s firm portrayal of a man who takes his gender role for granted, Summerfield thrills as woman just starting to grasp her place in the world. Among the support, Carl Granieri impresses as Dr. Rank, the terminally ill medical man whose nobility is compromised by his clumsy love for a married woman. Controversial at the time for its penetrating exposure of gender inequality, A DOLL’S HOUSE remains heartbreaking in Josh Hitchens’s direction as a tale of human blindness and betrayal. August 16-18, 2013. ebenezermaxwellmansion.org.